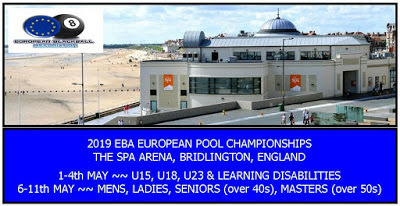 The Northern Ireland Mens 'A' Team that will be travelling to the 2014 European Championships in Bridlington in April will be holding a fundraising day in The Primacy Sports Bar, Bangor this coming Saturday, 22nd February. Entry is £5 per person, with the Group Winner taking top prize. Our 'A' Team will give other teams a 5 frame start.